Years ago, drivers fearlessly climbed into their racecars wearing only cotton T-shirts and jeans. These days, most of us are more informed about driver safety and the importance of being protected from head-to-toe in any racing event. The ability of someone to emerge from a burning car virtually unscathed is a direct result of this recent increase in personal safety awareness. Of course, racing is inherently risky but the chance of injury can be reduced if you take the time to protect yourself properly. Personal safety is a system of the driver suit, accessories, and helmet. The hub of this system is the driver suit. There are many things that influence what kind of suit you get such as sanctioning body rules, track requirements, the type and speed of your car, etc. How do you put these factors together to ensure you buy the suit that is right for you? Some drivers look for a manufacturer’s name they know or trust. Other people may be new to the sport and not as familiar with the products available. No matter how much you already know (or don’t know) about driver suits, you always have a standard that will guide you in your choice of a well-made garment. 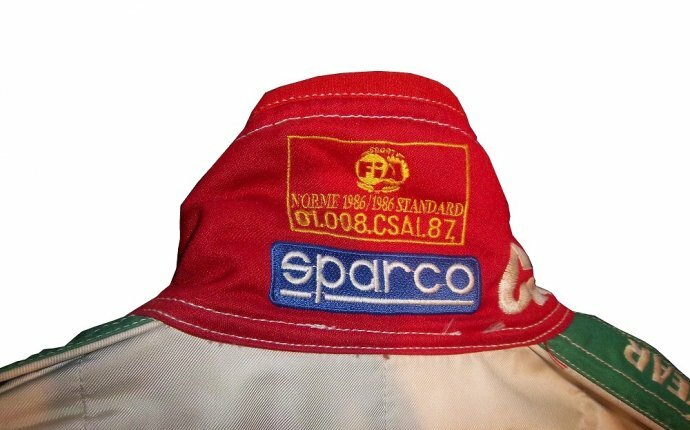 That standard is the SFI Foundation Specification 3.2A for Driver Suits. You have probably noticed the black and white SFI patch on many drivers’ left shoulders at various tracks, from drag strips to dirt ovals. The patch demonstrates that the manufacturer certifies the suit to meet or exceed the SFI specification. What does this mean to the consumer? It means that there is a way to differentiate the quality-assured products from the untested products. A driver suit that is certified to meet the SFI spec has been laboratory tested and has passed the requirements of that test. Before getting into the details of the testing procedures, it is necessary to understand what the SFI Foundation is and what it does. SFI is a non-profit organization established to issue and administer standards for specialty/performance automotive and racing equipment. This includes parts like clutch assemblies and fuel cells as well as personal driver safety items.